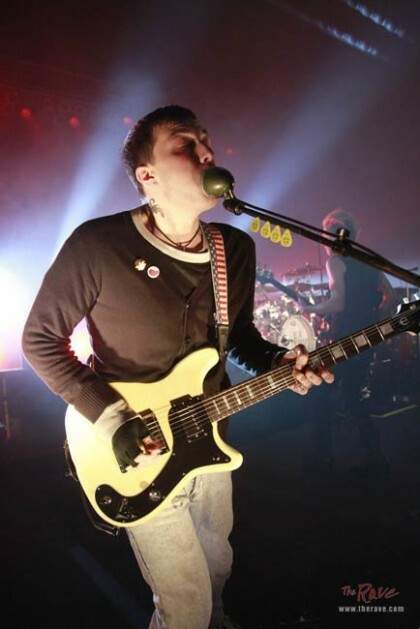 My Chemical Romance fans! 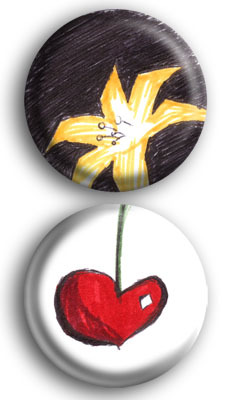 These are printed replicates of the original Lily and Cherry button-pins worn by Frank Iero in concert! Originally designed by me and gifted to him personally by a fan, now you too can rock the twinsâ€™ pins. Do you fight for the User? Then get your disc at the ready. Or, if you prefer, get your disc button at the ready. No guarantee that chucking pins at Programs will shatter themâ€“ at best, theyâ€™ll get a pin-prick. Also comes in orange for those who fight the Users. A 2D animator’s best friend– their animation disc– is quite a versatile tool. One can use it to soften the sun. Or, more than anything, one can bring flat drawings to LIFE with the help of its pegbars and smooth, semi-opaque surface! (All the while, losing sleep, not getting outside to see the sun, and forgetting to eat). You and I live a full 24 frames a second. We may even think every action in 24 frames a second! 2D is alive and will never die so long as our friend, the animation disc, is around. Consider yourself a king of the arcade? Do you exchange your pennies for quarters at the bank? Or would you consider throwing an all-Atari pizza party? Perhaps the sight of these buttons induced oldschool gamer flashbacks. In the event that any of the above statements apply to you, look no further: you’ve found the button set designated for you! Are you up with the times? Are you new and improved? Or do you have a daily tea ritual, making you full of anti-oxidants? Whatever the occasion, you can label yourself with these colorful buttons, now available at the Tahn-Emporium! The Button-Bracelet converter allows you to wear any five 1″ buttons together as a bracelet! The Button-Earrings converters lets you wear a pair of buttons as earrings! 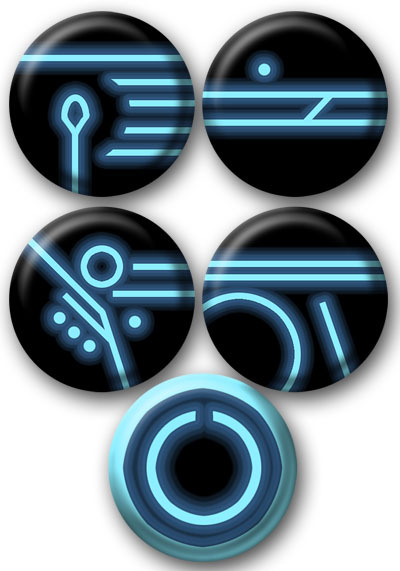 And here are the latest button releases. Companion Cube Buttons… Sorry, you’ll have to settle for these because I couldn’t figure out the engineering behind a Portal gun. You know you want to buy some hip buttons! 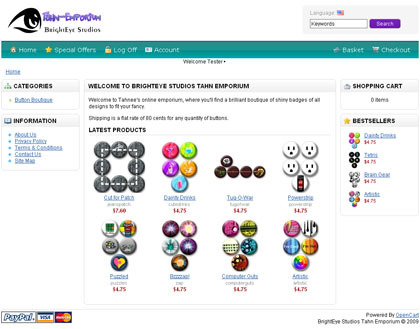 Now at tahnee.org’s BrightEye Studios Tahn-Emporium, you can buy buttons to your heart’s content. Buttons are only 95 cents a piece and sell in packs of 5 or more. Shipping’s only 80 cents (FLAT RATE!!) to anywhere in the US!!!! Where else will you find 1" Powerstrip buttons? Really. Where else are you going to get hot buttons like these? New designs added as often as I can! I’m open to suggestions for any designs you may want to see, so post your ideas! And a major-shout out to Daniel and the OC community, this would have been impossible without them! Yay! The mailers came for the buttons, now all I need to do is get bunches of stamps and iron out a few last quirks with the shop, errr, “emporium”. 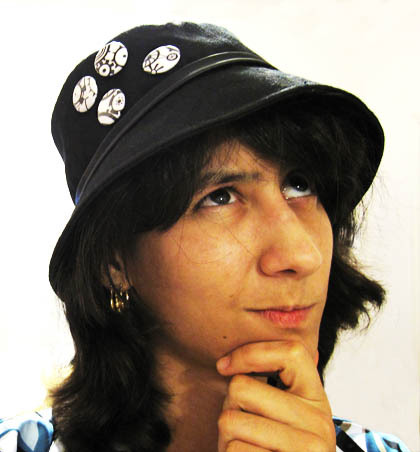 Brain Gear buttons + more pinnable goodies for your hats COMING SOON!